Emulation is indisputably one of the neatest things to ever happen to video games outside of the realm of normal development. The ability to play one system's games on another, and to enhance the games and make them play even better, is something that is fascinating to any gaming aficionado. Furthermore, by playing games that are no longer available or emulating hardware that is hard to find in working condition, it can give classic games a new life. The capabilities of emulation are unlimited, as demonstrated best by some of the best developed emulators on the internet. The one I displayed here, Project 64, plays Nintendo 64 games, increases their resolution, supports cheats and IPS patching (a way for fans to translate Japan-only roms), lets you use any PC controller (including an Adaptoid or any other console-USB adapter) and allows you to save and load a state from any point in the game even if you could not normally save or load at that point. These are all common features of any emulator. Most emulators can be downloaded from Zophar's Domain. Emulation began on the PC, where we first saw several emulators that ran in DOS that could play NES and SNES games. At first compatibility was low, and most of the graphics effects and special tricks that games used were not supported. Over time the emulators got better and more accurate to the console hardware, and as computers got faster, the speed of emulation got closer to the real thing. At about the 333MHz point, emulators of 16-bit and older consoles like SNES, Genesis, NES, and Game Boy had reached very good compatibility (about 90%) and very good speed (also about 90%). The significance of 333MHz is actually that on just about any processor, that clock speed is enough to run a decent emulation of the same systems. The Xbox runs at 733 MHz and runs not only a great SNES emulation, but a pretty darn good N64 emulation as well! The handheld PSP system, though, showed the most promise: Very soon after its release, some aspiring hackers got it to run an NES emulator, and after that came just about all the great PC emulators onto the PSP, including a SNES9x emulator. The PSP runs at 222 MHz, but its processor is actually 333MHz, the good SNES speed. What does the SNES9x emulator do, but let you "overclock" to 333 and get the better speed! 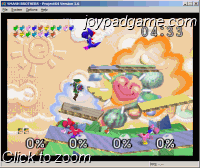 The result is emulation on a handheld game console that is on par with PC emulation (at 333MHz PC speeds, although some newer emulators claim to run faster through PSP optimizations). Most emulators use low-level emulation, meaning they write code that simulates the behavior of the system's processor with the system's machine instructions. This is how the older emulators work, since the systems have very basic processors that are simple to replicate. However, many new systems, like the PlayStation, have a BIOS that acts as a middleman between instructions and hardware. This BIOS contains binary data that can be copyrighted, so emulators tend to require, but not include, the BIOS needed to run. Then the emulator just handles the machine end of the instructions after the BIOS has handled them. By contrast, some emulators work on a high-level emulation principle, which means they do not require any BIOS, and read instructions the way the BIOS does and interpret them for the machine code of the computer the emulator is running on. This approach can often lead to faster emulation, although its complexity can hurt compatibility. A great example of the above is the Bleem! emulator. Bleem was a PSX emulator that contained no copyrighted BIOS code and did not require any BIOS. Virtual Game Station did something similar, although their approach was to reverse-engineer a dump of the Sony BIOS and create their own version of it that was similar, but not identical. In a way, they wrote a low-level emulator that emulated the PSX processor but included the BIOS to relieve users of the need to provide their own dump. Both for-pay emulators ran out of money fighting court battles with Sony (Virtual Game Station, despite winning their appeals, ran low on money and was bought out by Sony). Today's free emulators work on the bring-your-own-BIOS principle, and you need your own dump. The free emulators are a tad slower, but their compatibility is very good. Bleem had several compatibility problems, one major one being that since it ran as a high-level emulator on a computer that might be much faster than a PSX, many games would get out of sync between sound and picture. Bleem briefly developed a one-game version of the emulator called Bleemcast for the Dreamcast before they went out of business. Roms For systems that use a regular CD or DVD, like the PlayStation and Saturn, getting the game into the emulator is as simple as putting in the disc. For cartridge or proprietary disc systems, though, there is no easy way to get a game into te PC. It requires a ROM dumper or direct connection with the system running dumping software. The way to get around this is with ROM dump files, which contain the binary data and can be loaded from the hard drive into an emulator. These files are traded over the internet, so theoretically only one person ever needs to dump the game. The problem with this is that some people will download a ROM image for a game they do not own. For old systems, whether this is a problem or not is debateable. Nintendo does not sell NES cartridges anymore, so what option does one have to get an old Nintendo game, especially if you are just emulating it? However, Nintendo has taken the stance that they do not want people to have ROM images of games they do not own, even though Nintendo does not sell the games, making it impossible to play these classic games. Fortunately Nintendo cannot shut ROM sites as quickly as people can put up new ones. Emulation Business Game companies are beginning to recognize the benefits of emulation, even though they continue to fight others' emulator projects. Sony's PS2 emulates the PSX for backward compatibility, and has the option of smoothing textures and increasing CD speed for faster loading. It is a very good emulator, with high compatibility. Rather than include PSX hardware, the emulation approach was a good move for Sony because at just the software development cost they achieved a significant feature to help sell the new system. Nintendo has done similar emulation tricks. Their Pokémon Stadium game for N64 emulates the Game Boy to allow play of the Game Boy game on N64. Later, they released a GameCube version of Zelda: Ocarina of Time and Zelda Master Quest (an unreleased 64 Disk Drive remake of Ocarina of Time) as a bonus disc. 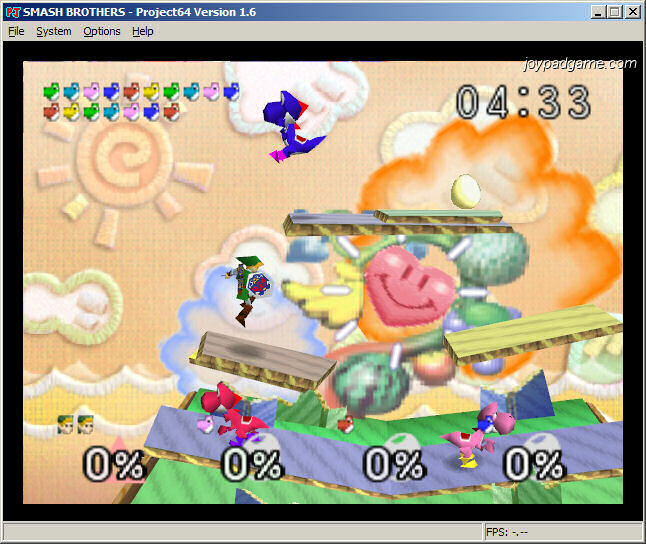 That was emulation of the N64 on the GameCube, with higher resolution, and it too worked nicely. The Nintendo Revolution is scheduled to be able to play GameCube games, and also offer for-pay downloads of N64, SNES, and NES games for emulation. It is unknown whether the GameCube hardware will be contained in the Revolution or emulated, but the other systems will certainly be emulated. Nintendo is clearly recognizing the popularity of emulators and trying to capitalize on that market, however their emulator will need to offer significant features for them to be able to compete with the free emulators that currently exist. This is especially true given that the PSP and the Xbox do such a good job of emulating these classic games (although they are a tad more complicated to set up). Finally, Lik-Sang sells some neat devices that allow play of old games on new hardware. Two products focused on the NES, the Generation NEX and the Pocket Famicom, are new products designed to play NES cartridges (well, the latter, as its name suggests, is a Famicom and requires an adapter for NES cartridges). There is also the Time Machine, a device that emulates Famicom/NES games on the Game Boy Advance. The first two probably aren't technically emulators, because the hardware is actually a NES-on-a-chip device that was reverse engineered from the real thing. They do let you relive old classics, though, and using real cartridges instead of roms. One device, which I won't link to for lack of a convincingly reputable place to buy them, called the Power Player Super Joy III, is basically a N64 controller containing a chip with the NES and nearly 100 unauthorized roms with title screens removed. However, nothing compares with the "cool factor" of playing NES games on an emulator for the PSP.